Hiya, Silver Wolf here, and we have two big announcements! Plus, a little bit of oldish news for you guys. As you can tell, the post is about Arabian Nights Episode 3 and the New Chat Options! I’ll also be talking a little about Nabooti Island and the Credits raise. Keep reading to find out more! Would you rather spend the night in a cemetery or a haunted house? What do you prefer to drink when you’re thirsty? And others? Well…you’re just going to have to play Poptropica yourself to find out! And if you’re wondering what the heck a ‘Common Room’ is, they’re rooms where you can safely chat pre-made messages with other Poptropica players, play games with them, and friend them! Most of the Common Rooms are on the first street you land on in Poptropica. 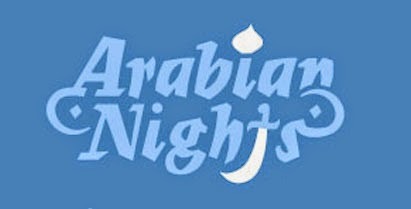 Arabian Nights: Careful What You Wish For Released for Members! The genie is out of the bottle, and now everyone wants a chance to make their wishes come true. But whether you’re a greedy merchant, a lovelorn palace guard, or a Sultan with a long-buried secret, heed this advice: be careful what you wish for! I think Nabooti being available to Members only isn’t necessarily a deal-breaker. After all, not many people probably get Membership in the first place because, honestly, so far it’s pretty easy to play Poptropica without it. Most people play Poptropica only for the islands — not many care about saving costumes, having more photos, or buying all of the costumes in the Store. I definitely don’t like the new change, but I’m not against it, either. I’m thinking most of the islands will still be available to Non-Members, anyway. As long as they don’t become the next Wizard101, where everything needs Membership, I’m fine with it. Since you’ve read this far, make sure to tell me your opinion(s) in the comment below! Are you against the Credits and/or Nabooti update? Or are you with the Poptropica Creators? Hey, CK! How have you been?